In the middle of the biggest ocean, deep below the busy ecosystems, lies the oldest possible life-form on this planet. It lives under huge pressures, 30m below the actual seabed and 86 million years ago, began reproducing there. The only trouble was, it took ages. Eons later, its offspring survive "in the slow lane", in what is now the vortex called the North Pacific gyre. As Tyranosaurues rex came and went, then mammals ruled the waves and the land, it persisted with its life-style. This single-celled archaeon, regarded as a relative of eukaryotes like ourselves and distantly related to bacteria, is the sloth to beat all sloths with the slowest growth known to date. With its microbial "co-workers," this aged organism also forms a major part of the largest biomass on earth, bigger than our land and sea systems. We have found out about this sub-ocean kingdom only in the last 20 years, so it's no surprise that these denizens of the deepest ocean sediments are going to give us even bigger surprises. The biggest is going to be how long a single cell can live. In Japan, researchers have estimated that between 1000 to 3000 years pass by in an instant for the slow metabolic rates we are dealing with. Dr. Hans Røy, from Aarhus University's Centre for Geomicrobiology, believes his vortex organisms could live much longer. Are we in the million year bracket? These almost alien beings could be capable! Maintained successfully in the lab., they use a nutrient like glucose as if it's caviar. Thirty metres below the red clay in which they dominate, they normally survive on the scraps of organic substances that can penetrate the substrate. Each individual cell occupies only 0.001cm3, which is an ocean for a cell. For the researchers, it must be boring to wait for a month to find out if they have reacted to some sugar. For the beasties from the deep, it was the best thing to happen in eons. What is most important is that 70% of the earth surface is covered by water. These deep sediments store carbon from all of these areas and the land too. 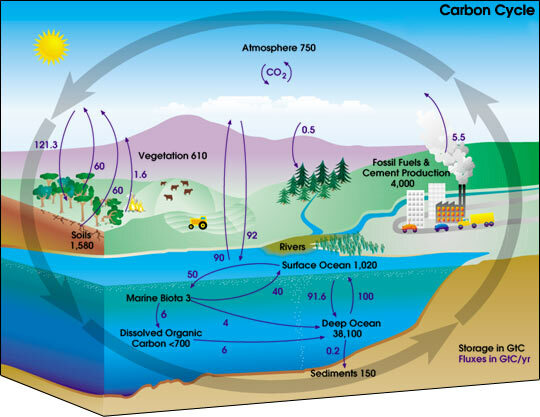 If these sedimental beings moved that carbon on any faster, the CO2 concentrations we study so carefully would rapidly change, as these organisms still use oxygen and release the global-warming gas. So are these organisms boring. Or is it just possible that they are the ultimate survivors or the best possible astronauts. We could send them as ambassadors into space, to colonise new worlds, as they don't need feeding and they live in a lump of clay! A little DNA adjustment and there we are. No spacesuit needed. (They probably wouldn't need a rocket). What else? If they are among the oldest living things, can't their genome tell us how the earth changed for them! Possibilities seem endless as the last twenty years come slowly into focus. Maybe our spectacular dinosaurs and the beautiful adaptations of life on top of earth are simple flashes in the pan. Real life goes on and on and on..